Yesterday a big shift in Minor League Hockey affiliations was announced. Most sport fans are familiar with the way the baseball minor league system is set up. You have the Major leagues, AAA, AA, High A, A, etc.. I know that my sport related posts don’t get much traffic, but it is where my mind has wandered tonight. In Hockey the American Hockey League or AHL is equivalent to AAA and the ECHL is equivalent to AA. 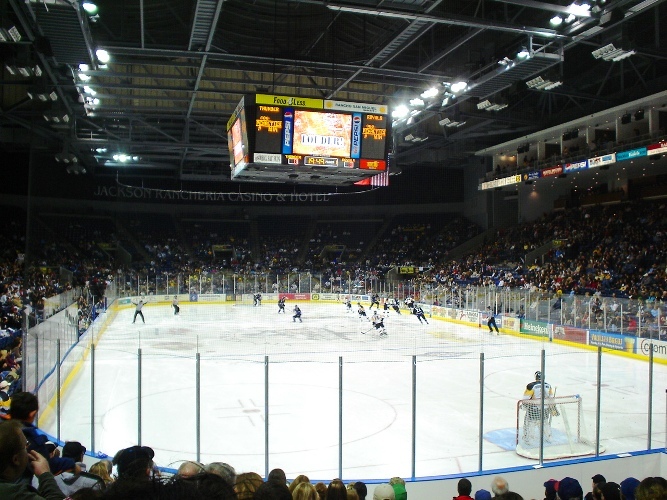 The picture above was taken 10 years ago during the first season for the Stockton Thunder. The Stockton Thunder is currently an ECHL team. I went to this game with several of my friends, including one who grew up playing hockey in Canada. He was very surprised at the crowd. The crowd was very loud and was close to a sellout with more than 8,000 fans. 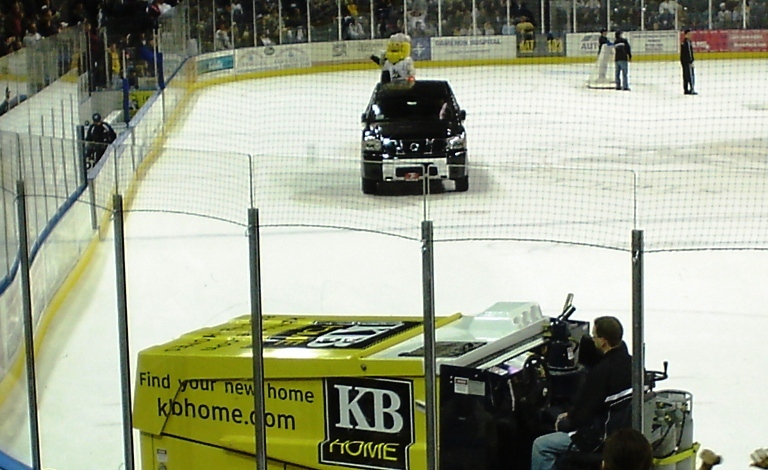 Of course part of the fun of going to a hockey game is watching the Zamboni clean the ice between periods. To me it is so cool that you will get two pictures. If you look closely you can see that there is a big crowd. There are three ECHL teams in California in Bakersfield, Ontario and Stockton. 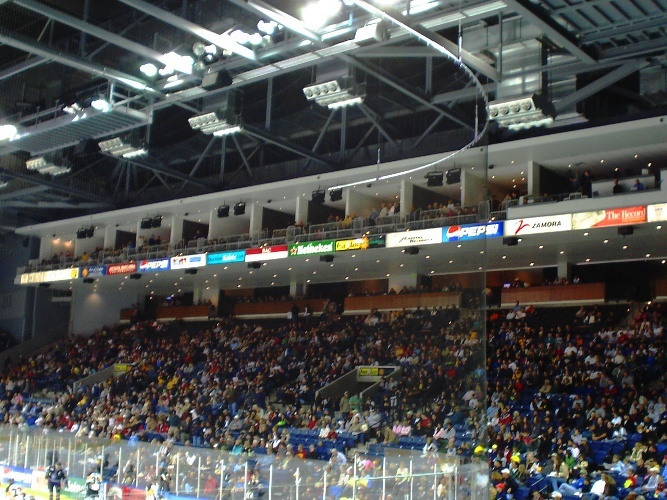 The three teams in California will be swapped with AHL teams in New Hampshire, New York and Oklahoma. Two other AHL teams from Virginia and Massachusetts will also be moving to San Diego and San Jose. California will then have five AHL teams that will all be playing closer to their parent clubs. I am sure that the California hockey fans are looking forward to the higher level of competition. 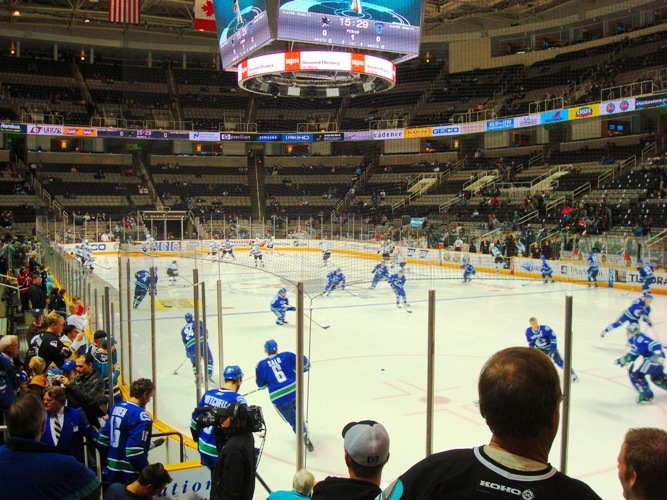 The next season I went with the same friend from Canada to a San Jose Sharks game. It was an interesting contrast. Here it is just 15 minutes before the game and the stands are mostly empty. They did start filling up during the first period, but it was a very silent crowd compared to the Stockton Thunder crowd. Minor league hockey can be very entertaining and more fan oriented as there is a much smaller proportion of corporate tickets. The true hockey fans are the ones with the season tickets. 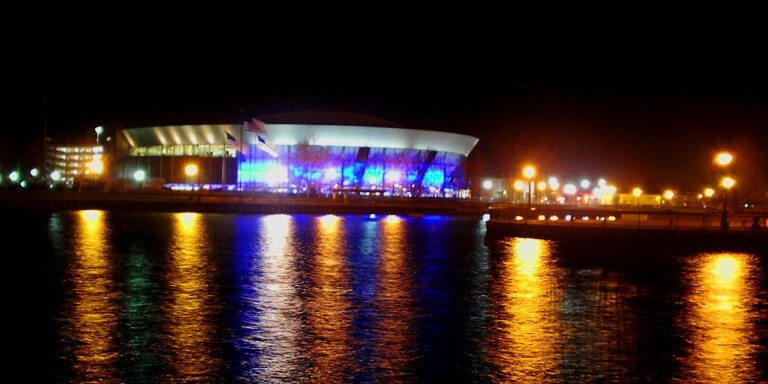 Here is a picture of the Stockton Arena at night. 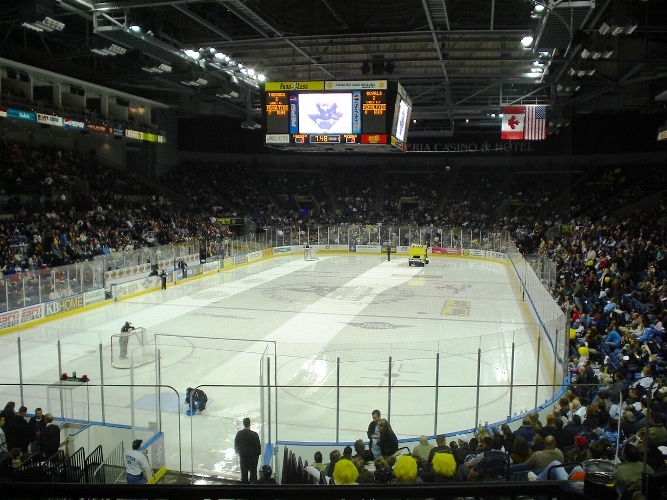 The Stockton Thunder draws a good crowd in the arena which seats from 8,600 to 12,000 depending on the configuration. I think it is normally 8,600 for Hockey. I did a quick check of the attendance numbers for the ECHL and AHL teams that are swapping locations. The ECHL teams all currently outdraw the AHL teams that are replacing them, so the AHL will definitely gain in attendance numbers. I am looking forward to the AHL team moving to Stockton. Perhaps I can convince my friend from Canada to go to a game with me again. This entry was posted in California, Canada, Culture, Sports and tagged Affiliation Shift, AHL, ECHL, Hockey, Minor League Hockey, NHL, Stockton, Stockton Thunder, Zamboni. Bookmark the permalink. Don’t watch hockey very often.